Having met all the outstanding requirements of software accreditation, BERS Pro is on track for full accreditation before the end of March 2017. The software remains under interim accreditation until all relevant approval processes for software updates are completed. The NatHERS Administrator is expecting the new fully accredited version of the software will be released between January and March 2017. 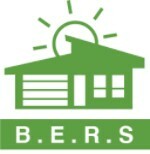 Energy Inspection, as owners of BERS Pro, will notify all existing users of the date of the new release when it is finalised.